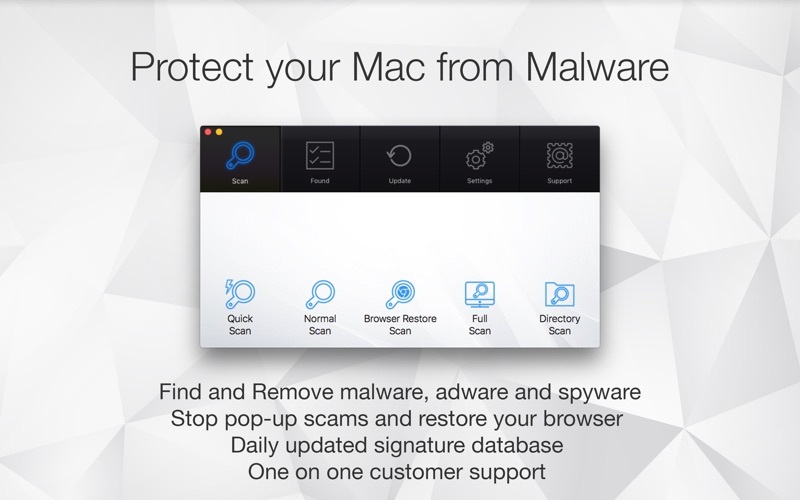 Antivirus Zap is a comprehensive solution that scans and removes malware an other malicious software from your Mac. 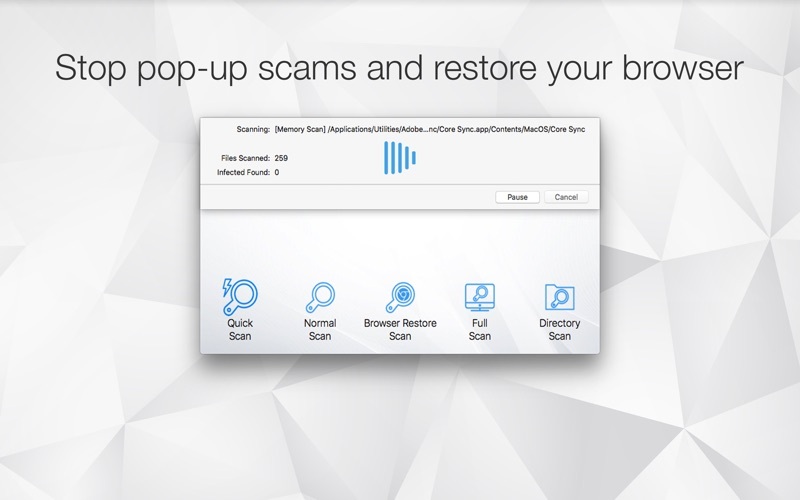 It detects threats or suspicious files that are already on your Mac and protects you from being exposed in the future. 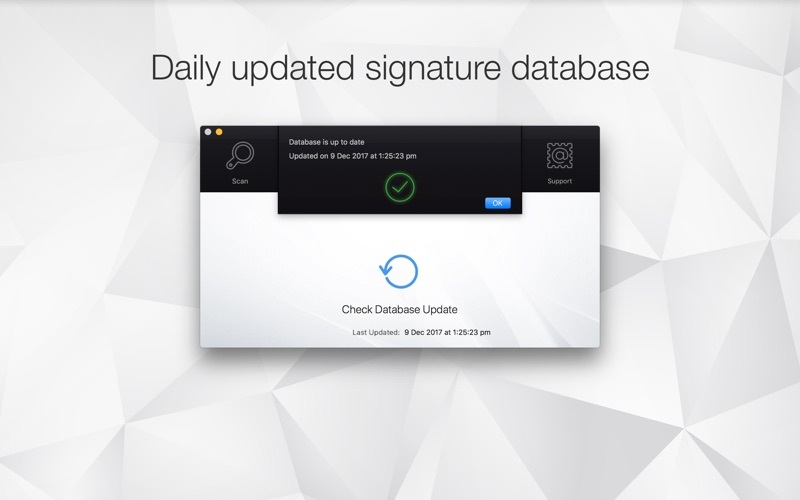 - Comprehensive scan that checks the whole system. 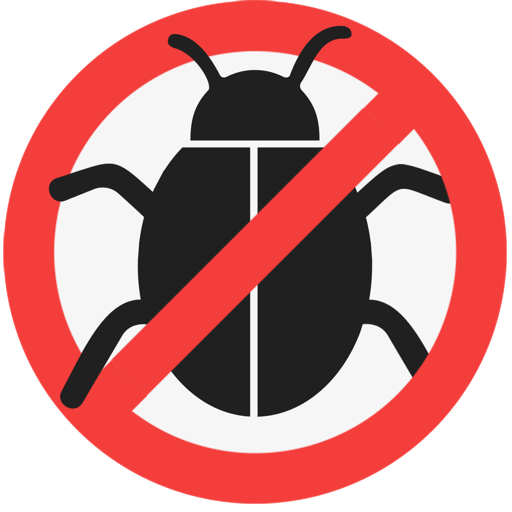 - Detects not only macOS but also Windows and Linux threats. You can scan Windows bootcamp, external and network drives for malware. 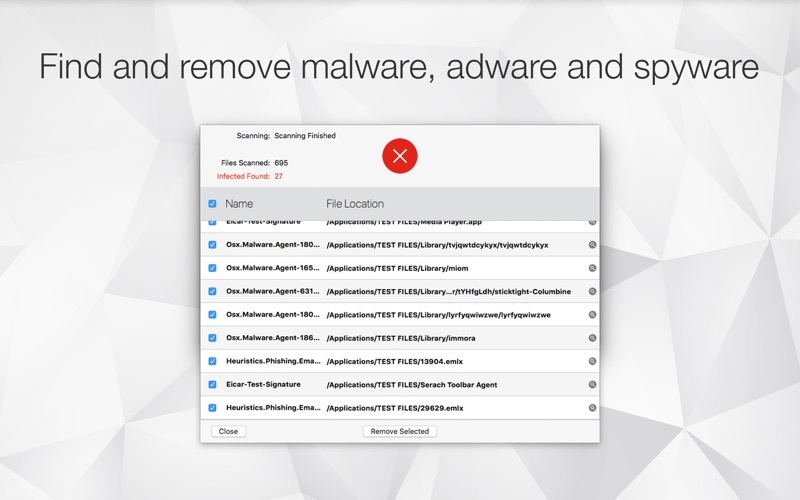 - Also optionally searches for malware in archives (zip, pkg, etc.) and inside various types of files such as pdf, pkg, zip, etc.